Upside of Down™ 80/20 with Knife Edge - Med/FirmUpside of Down. 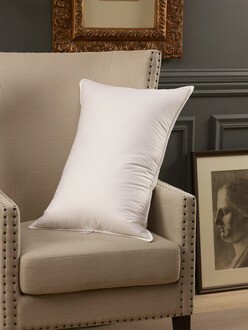 The Upside of Down™ style is our best selling pillow to the hospitality trade. 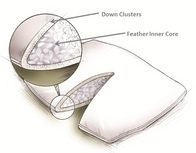 This style features three compartments - the inner core is filled with supportive feathers, the two outer sections with luxurious down. 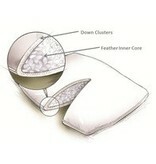 The result is a pillow lightly firm pillow with outstanding recovery and longevity. 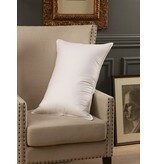 Edge: Double needle stitched edges with cotton cording. Fill is 80% feather / 20% down.